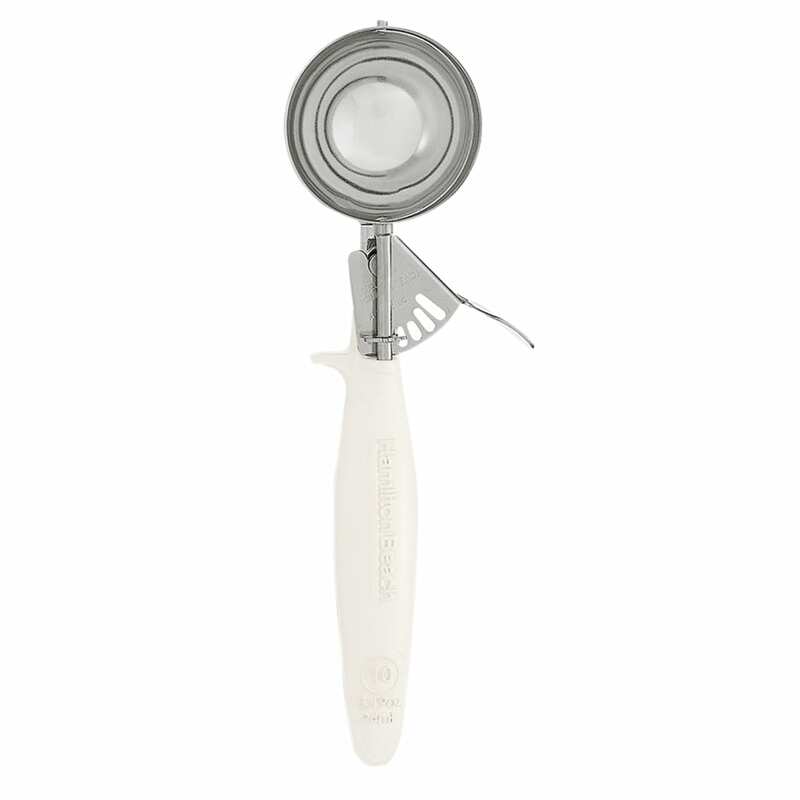 The Hamilton Beach 80-10 disher has a 3.33-ounce capacity, and its bowl, thumb lever, and spring are made of durable stainless steel. Its spring action is heavy duty and efficient to use. 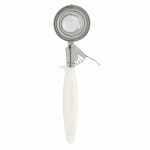 With its ivory handle, operators can see it is a size 10 disher, which is also marked on the handle. The plastic handle has an easy-to-clean one-piece construction, with an ergonomic grip that reduces fatigue. To prevent slipping, it has a Pan Rest™ feature that has notches, which enable the disher to be propped on the side of food pans. Check out our dishers resource article to learn more about this utensil.